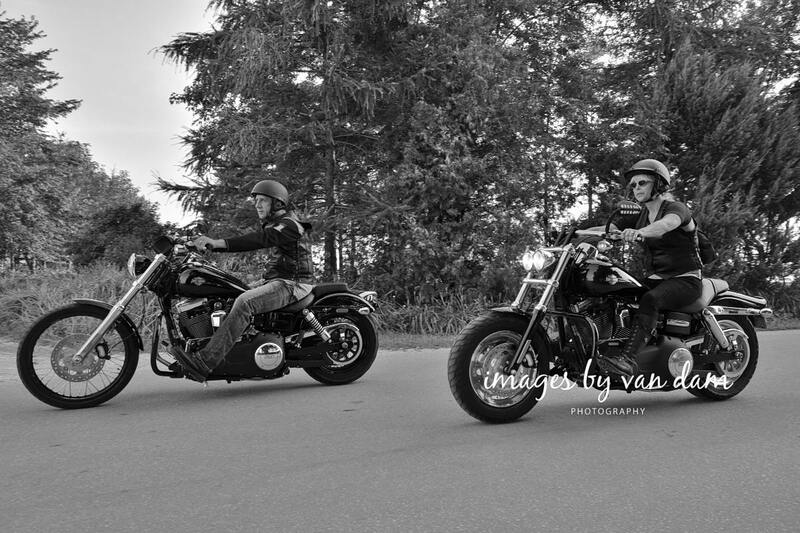 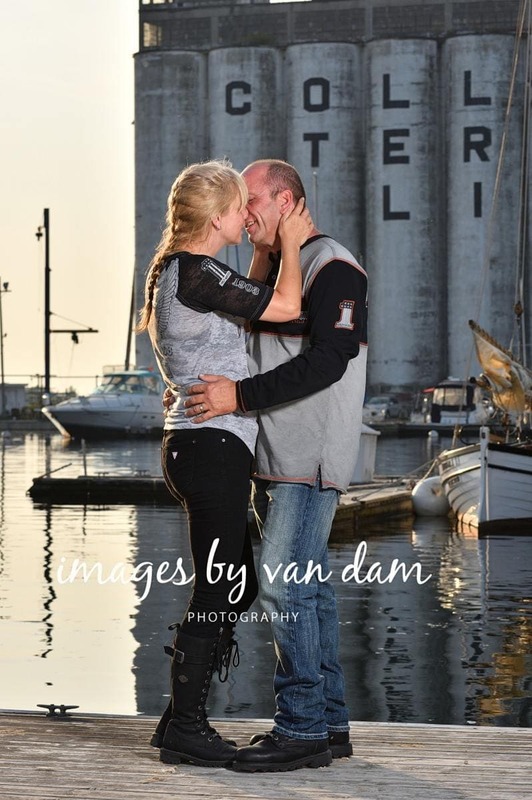 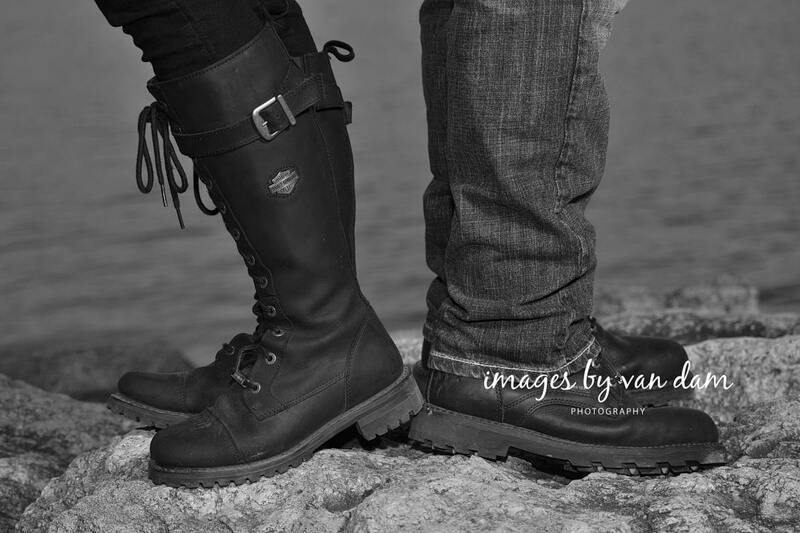 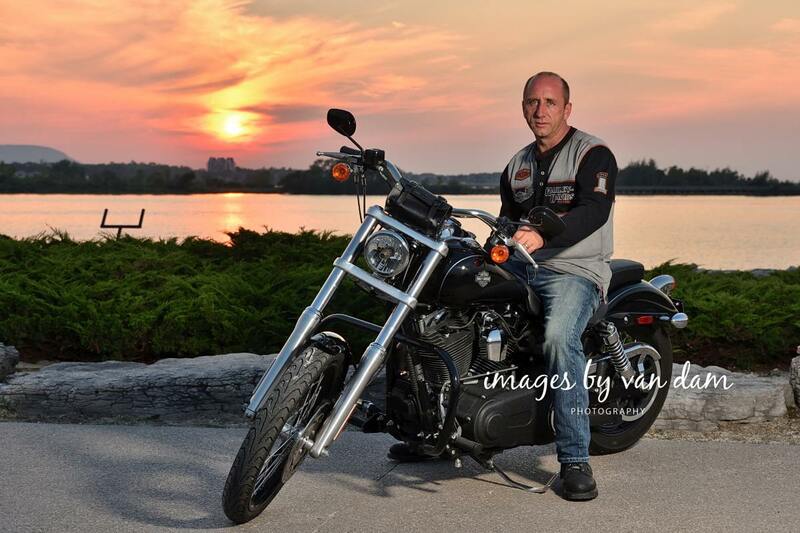 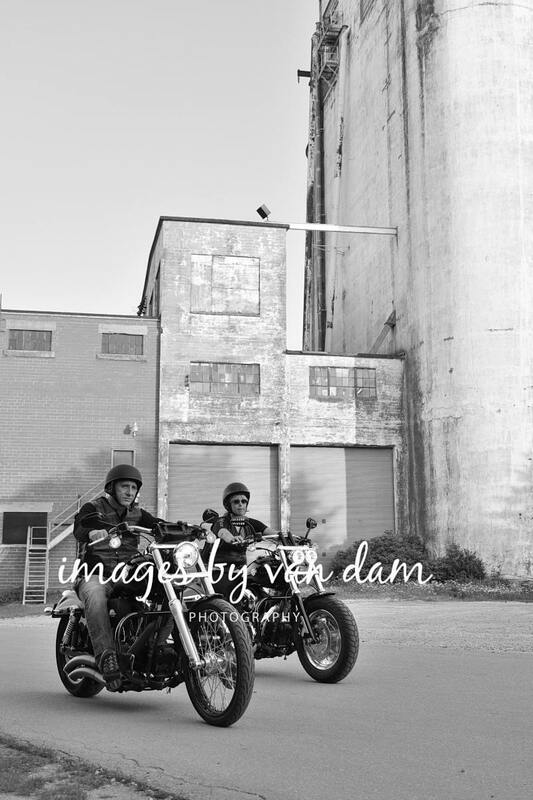 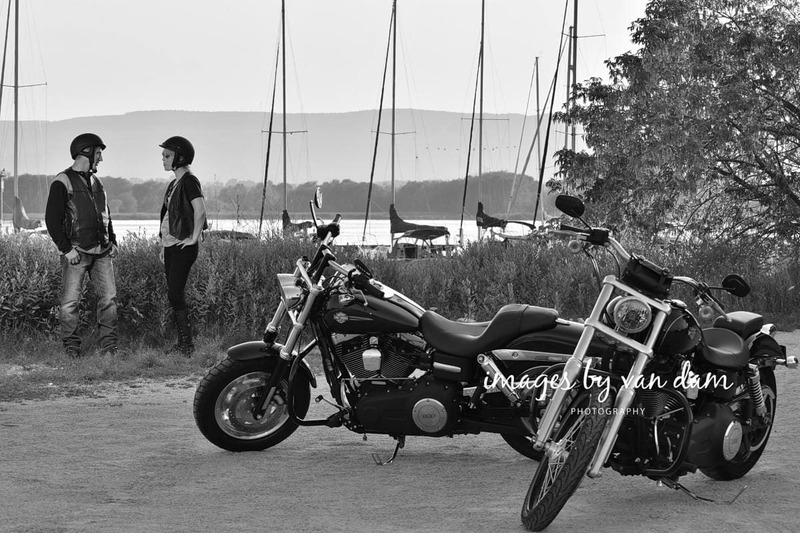 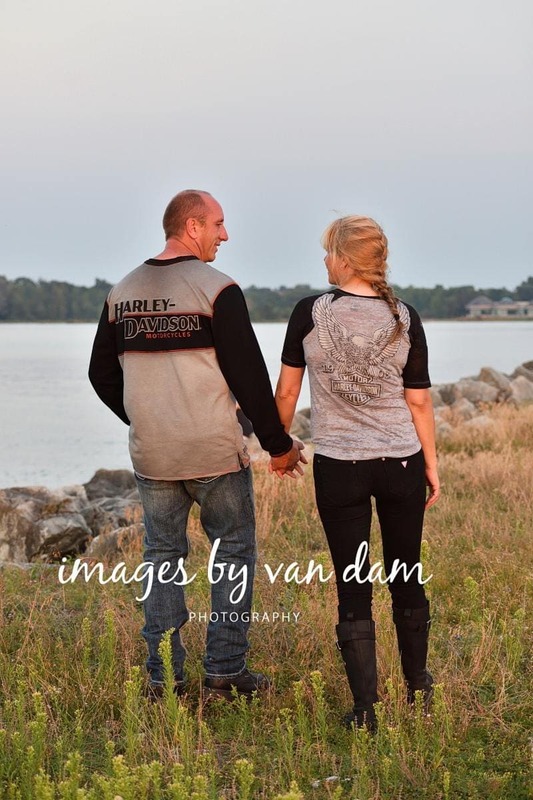 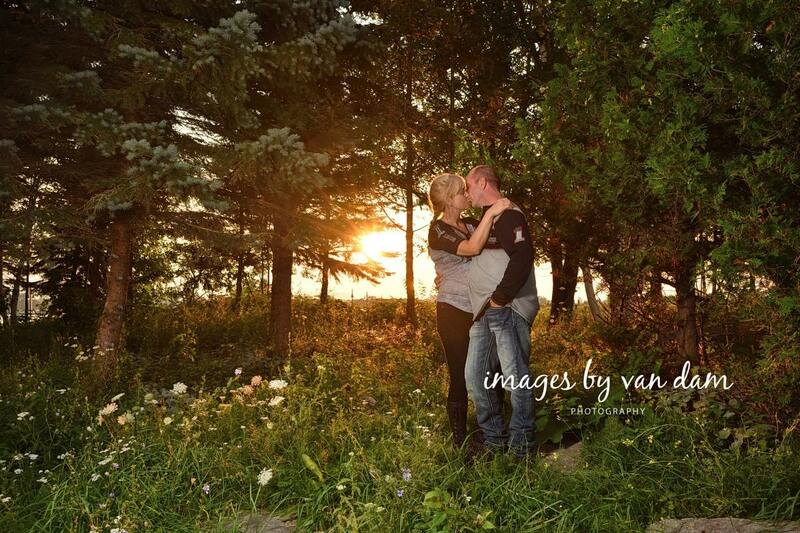 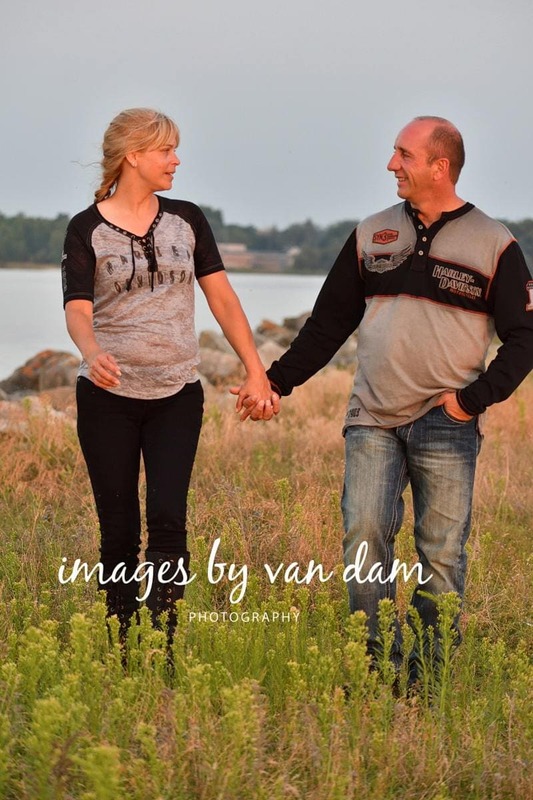 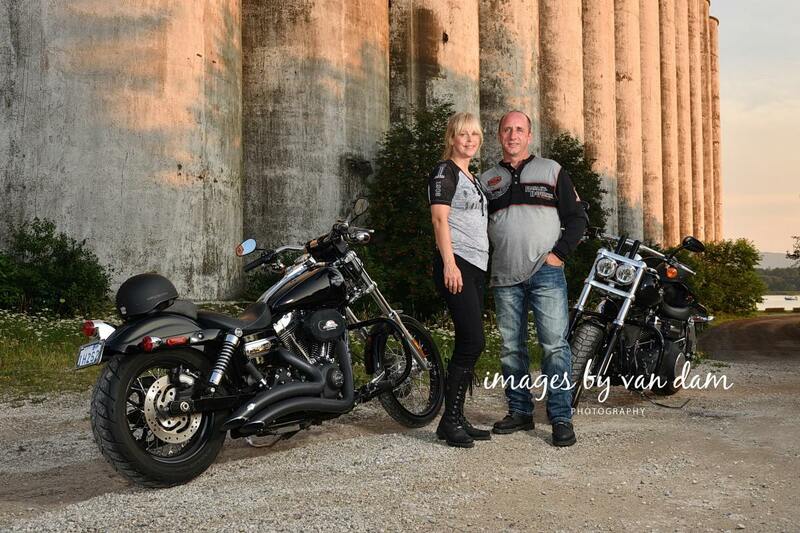 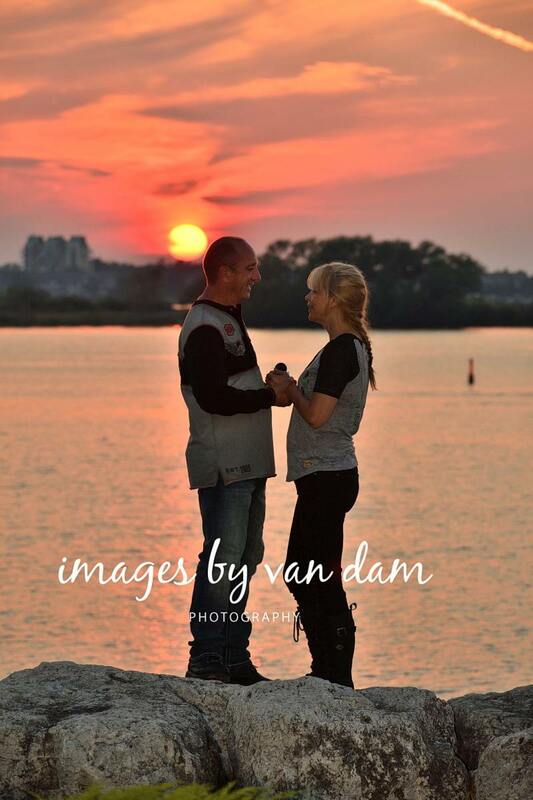 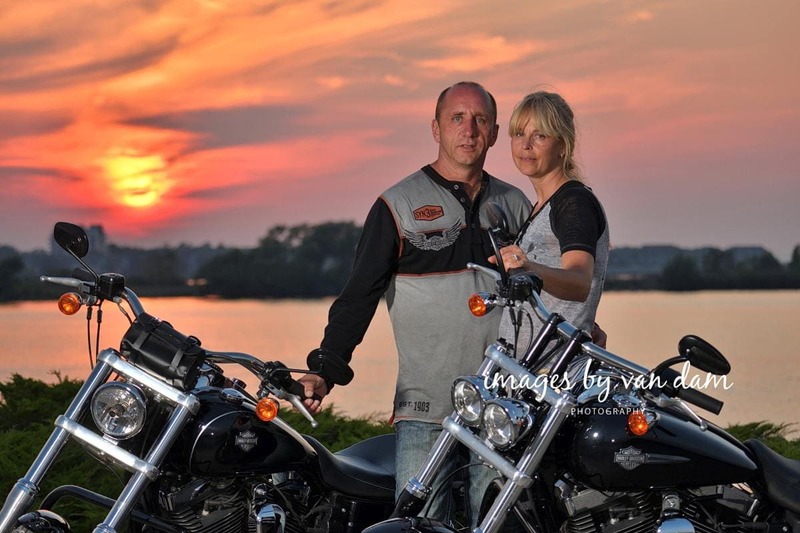 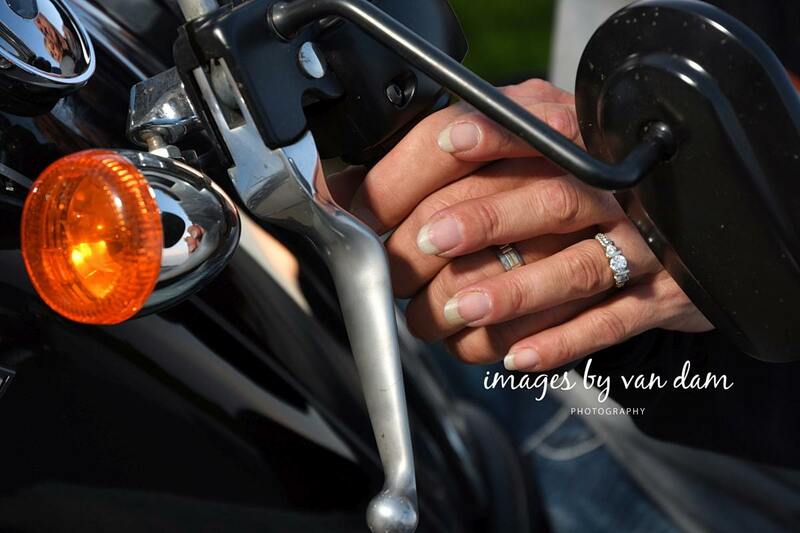 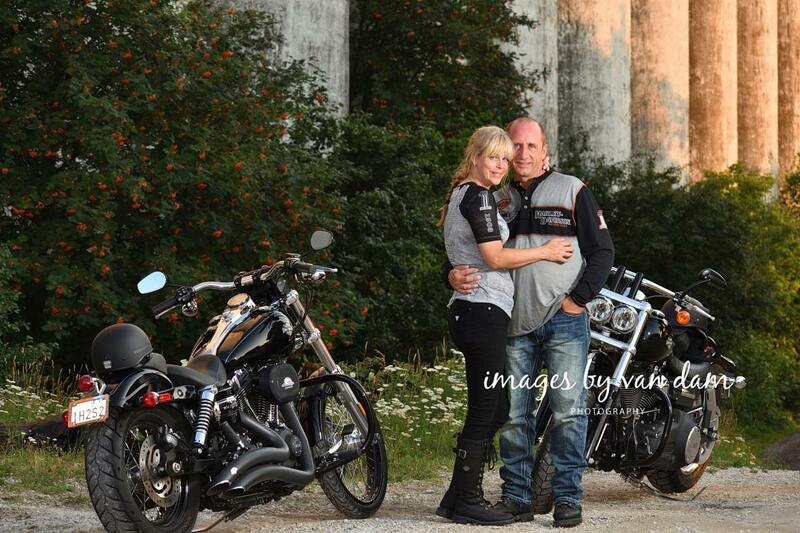 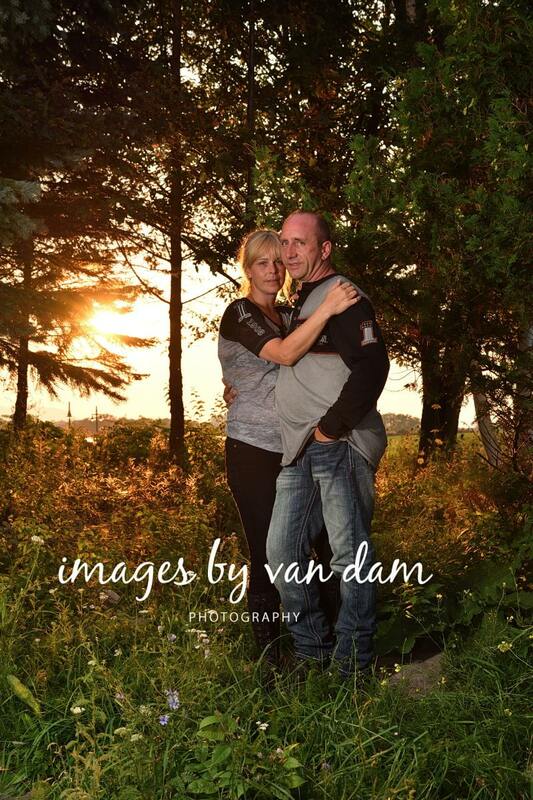 Ronda and Steve brought their Harley Davidson's to Harborlands Park in Collingwood for their engagement session. 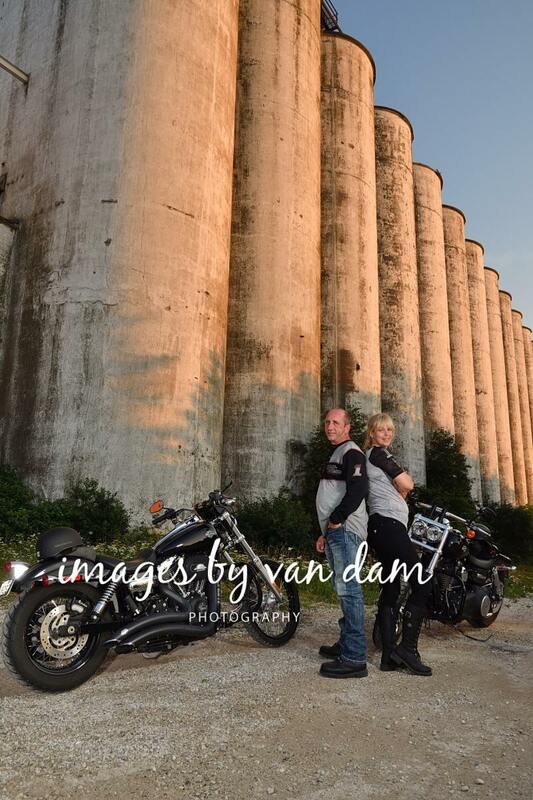 The park's long peninsula is an ideal location for all sorts of photography sessions and Ihave shot numerous motorcycle sessions here. 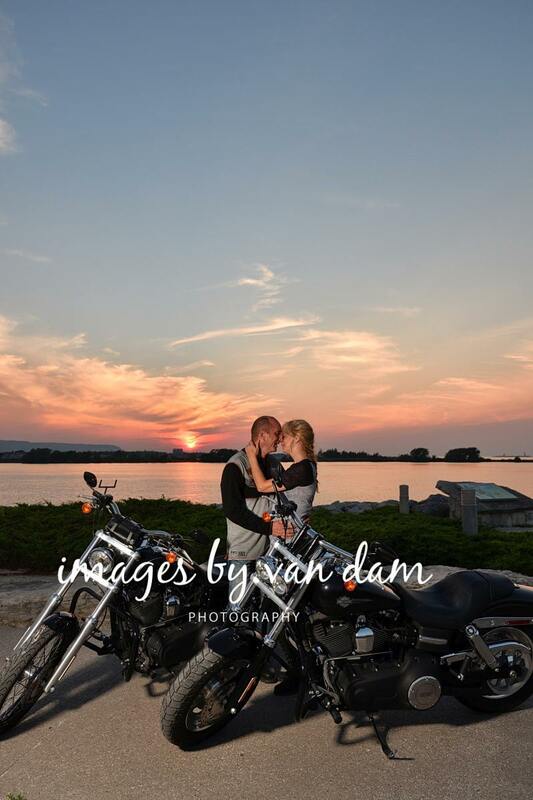 It is one of my favourite locations to shoot at anywhere as it combines so many interesting elements into a single footprint: distinct, bold, and historic architecture, panoramic vistas of Georgian Bay and the Blue Mountains, large shoreline boulders, beautiful evergreen gardens, as well as dragonboats, docks, and of course, epic sunsets. 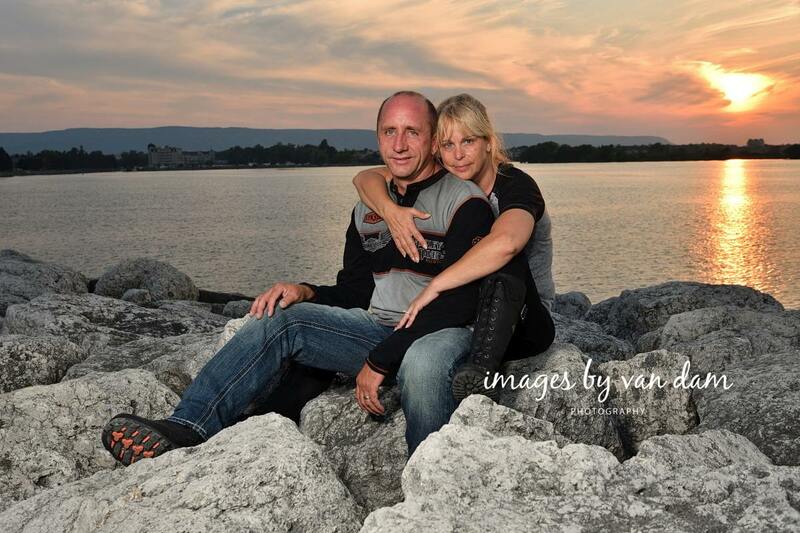 Thank you Ronda and Steve for such an incredible session!